Simona de Silvestro is already considered the runaway favourite to replace Craig Lowndes in one of the best seats in Supercars next year. Surprised? You shouldn't be. 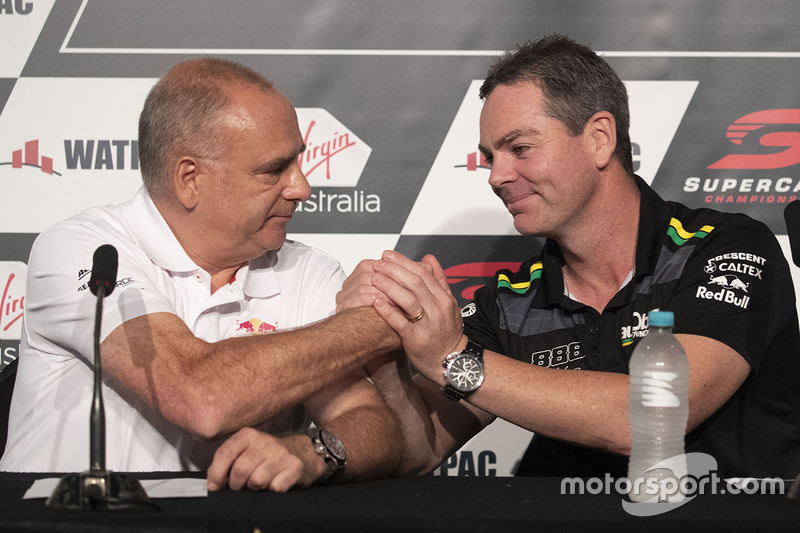 Craig Lowndes' impending exit from full-time Supercars competition should have sparked debate over who will replace him in one of the most sought-after seats on the grid. But it didn't. 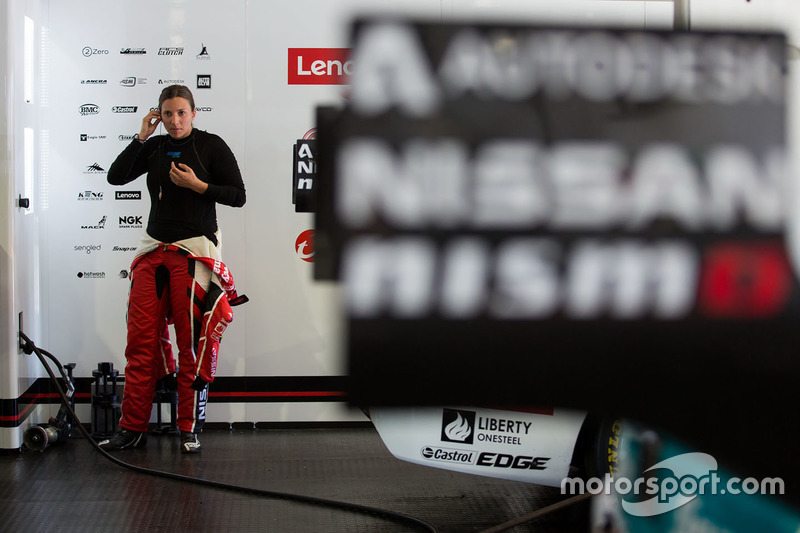 Because as far as the rumour mill is concerned, a move to poach de Silvestro from Nissan Motorsport is well underway. 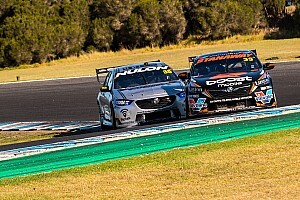 Triple Eight boss Roland Dane has so far done his best to keep a lid on the team's third entry for 2019 and beyond, including claims that he hasn't even decided if he'll commit to the three-car model once Lowndes is gone. If there aren't signed deals in place, then sure, by pure definition then there's no firm decision on the make-up of the team next year. 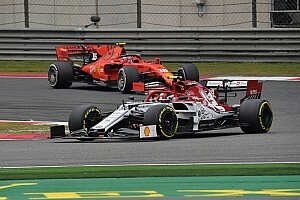 So, technically a direct quote saying “we’ll think about what comes after that, whether it’s two, three, four cars, in the weeks to come" is true. It's also a crucial message in the scheme of Craig's exit from the sport. He's a fan favourite and a media darling, which makes distancing the next step vitally important. Nobody can afford any blurred lines over whether Craig's exit was anything but a heartfelt mutual decision from all concerned. At the same time, it's naive to think that the decision-making process regarding Triple Eight's soon-to-be-vacant Commodore starts here and now. Deep down, Roland Dane already knows how many cars he'll be running next season. At the very least he knows how many he wants to be running. And that brings us on to what happens next. The smart money is that this is the first step in a convoluted deal to land a female driver in that car. 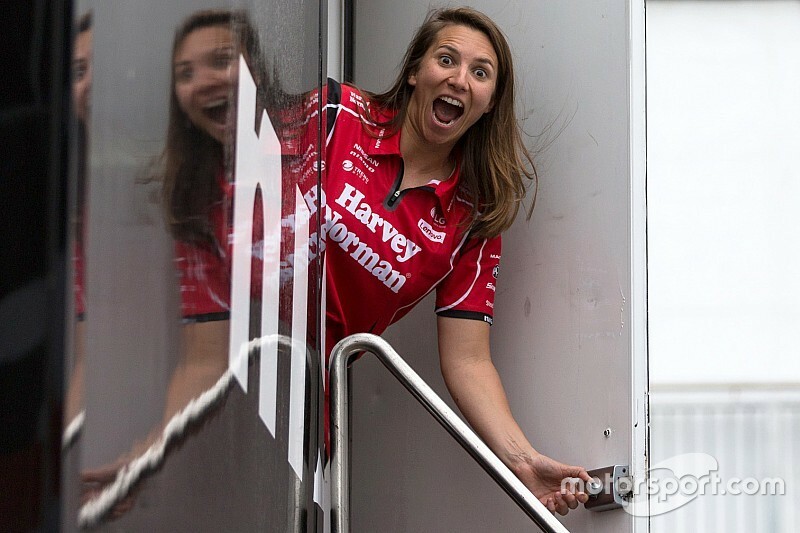 If you put two and two together, you get de Silvestro and her Harvey Norman backing. It's understood that the Nissan deal not being renewed opens the door for the Swiss star to make an early exit from Kelly Racing. After all, she's already left the cold Melbourne winters behind and relocated to sunny Queensland. She's not a new addition to the Triple Eight wish list either, with rumours swirling around last year that Dane was looking to draft De Silvestro into Tekno for 2018 and run that car as effectively a fourth T8 entry out of the team's Banyo workshop. Having a female superstar is important to Holden. 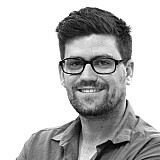 Back in March, then-marketing boss Mark Harland went on the record and said as much. Behind the scenes there was also an ultimately unsuccessful bid to lure Molly Taylor away from her Subaru rally programme and into a Holden-backed SuperUte entry. While Harland is now gone, and his successor Kristian Aquilina is yet to pick up the crusade with quite the same vigour (at least publicly), it's unlikely the appeal of a female star in a factory Holden seat has vanished into thin air. Even if it did, this supposed deal isn't the work of a moment. If the grand plan does exist, it will have been in the works since long before Harland left the building. If the whole deal has commercial legs, then it doesn't have to be all about appeasing Holden anyway. Roland is as shrewd a businessman as there is in Australian sport. Any opportunity to shore up backing on a car should be taken very seriously. Even if it means making a seismic change to the make-up of the team. Perhaps it's not all about the rich getting richer, either. If you believe everything you hear, this rumoured plan includes a significant female presence top to bottom, the top likely to be Dane's daughter Jess who currently heads the organisation's communications and is an ever-present and highly-active part of the Supercars paddock. Roland could feasibly be taking this very personally in a very positive way. During the Craig announcement, when questions about the Simona theory, his clever non-denial, non-commitment was centred around Jess' involvement with the team and a long-held target of a workforce comprising of 30 per cent female staff. 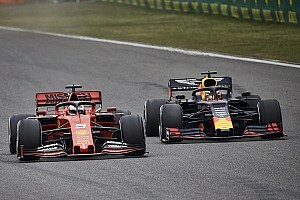 If a team was running three cars, and one of them had a crew made up mostly of female staff, some pretty simple mathematics can land you at that 30 per cent mark. 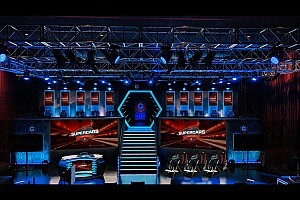 From a performance standpoint, it may not seem like the most dynamic choice. A proven performer like Chaz Mostert going into that car and taking the fight to Jamie and Shane and the Penske Fords would be mouth-watering. 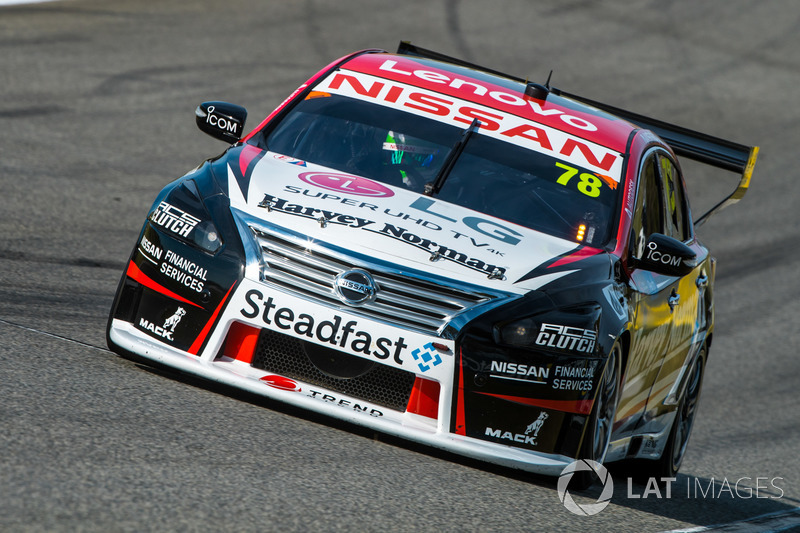 To be brutally honest, de Silvestro hasn't yet reached a point where she's out-performing the Altima package. At least not in the same way Rick Kelly does so consistently. 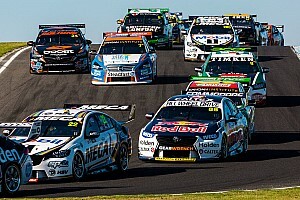 So it's unrealistic to expect a Triple Eight Commodore to be the silver bullet that turns her into a regular race winner. But in terms of replacing Lowndes, the most household of household names, it could well prove to a marketing masterstroke for both the team and the series.